We help the students who are seeking admission in UniKL University (Or any other University in Malaysia), in everything from the application process and visa application and documentation to arranging for their accommodation – and even arrange to pick up the students from the airport and all in FREE of charge. We make the students familiar with the life in Malaysia and in UniKL University, with the help of our extended services that will make every student feel at home. In simple words, If you are looking to study in Malaysia, we will basically do everything needed that you don’t have to look anywhere else. For details about our services click here. To get started right now or for your inquiries or if you want to study in UniKL University, visit our Online Malaysian Universities Application System (OMUAS) or fill out the Register form from the right side. Someone from our team will get in touch with you at the earliest and will take you through the entire process – clarifying all your doubts and answering all your queries. After registering with us you can log in and upload your required documents and that is the only thing you will have to do in this whole process, we will take care of the rest. Candidates in High school, secondary or A-level must hold min. CGPA of 2 out of 4 or must be passed. For studying engineering pass marks in Math, Chemistry and physics in high school. Bachelor's degree with min. CGPA of 2.75 out of 4 or equivalent in a relevant field of study. Any Bachelor's degree with CGPA of 2 to 2.5 out of 4 in a relevant field can be accepted subject to a minimum 2 years of working experience in a related field. A Master's degree with min. CGPA of 2.75 out of 4 or equivalent in a relevant field of study. Any Master's degree with minimum CGPA of 2 to 2.5 out of 4 in a relevant field can be accepted subject to a minimum 2 years of working experience in a related field. 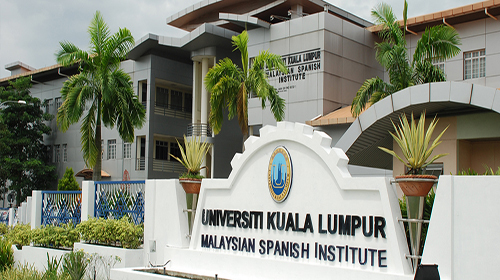 English language requirement for admission in UniKL University Malaysia: It is mandatory for every international student to take English tests like TOFEL (Test of English as a Foreign Language or IELTS (International English language Testing System) with the minimum required score for respective programs. Also, if by any chance you don't have the above qualifications in English, You can take the UniKL English placement test in Malaysia. You have to get passed in the test for getting admission to the English programs but in case you can't make it the you will be required to study a compulsory English course at UniKL. **The academic calendar is subject to change. *** Some programmes follow different Academic Calendars which are endorsed by the Senate. The list of documents for the purpose of admission to UniKL University, are provided on here. The on-campus apartments are comfortable with every essential facilities. Each bedroom is consist of double rooms that can hold 4 to 6 students. Through this kind of accommodation almost s10,000 students can be housed from allover campuses. The off-campus accommodation at UniKL is of good quality and functional. They are available to the students of UniKL at reasonable rents. UniKL provides one year accommodation to all the students in on campus. Rooms: Single beds, mattresses, wardrobes, side table, notice board, ceiling fan, lamp. Kitchen: cabinet, dining table, chairs, dustbin. Hall area: Study table and chairs, study lamp, internet/ computer port. The warden ensures that any damage in the apartments will be repaired immediately. All rooms and halls of the apartments have curtains. The extraordinary and conductive varieties of facilities accessible in UniKL are a demonstration of UniKL's responsibility regarding greatness. These facilities are equipped with the most recent methods to form a surrounding that represents the reality. This is to guarantee that our graduates are prepared to confront the quick paced and consistently changing working world specifically upon graduation. 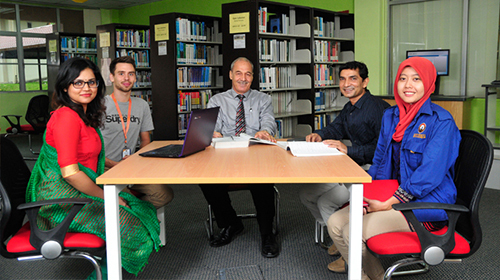 UniKL University offers a wide range of programs for the students to choose from. In the following tables, we have listed their available programs along with the tuition fees. The university along with the Education Ministry and other related governing bodies have made accessible to the students many types of scholarships including financial packages from banks, government-linked agencies, state departments, financial institutions, and also few local organizations which basically offer loans and financial aid to local students. UniKL always provide the best for the students to obtain financial helps for their education. Local students can easily apply for educational loans from financial institutions, PTPTN and also from state foundations and. Other than the financial loans, they continuously connect with relevant agencies and industrial partners (like ZALORA) in providing grants and scholarships to appropriate students. 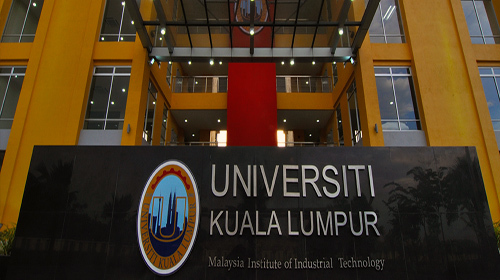 UniKL or the University Kuala Lumpur is the leading university in engineering technology, which started on 20th August 2002. The university is fully owned by Majlis Amanah Rakyat (MARA), an agency under the ministry of Rural and Regional Development (KKLW), Malaysia. The university was instructed to upgrade the status of technical education in the country by the government. UniKL in Malaysia provides graduate programs with a strong technological knowledge and smart management and entrepreneurial skills, which are very relevant in the current market. 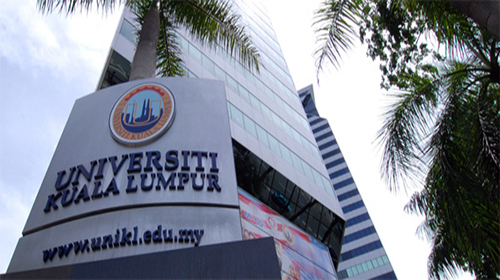 UniKL has around 14 branch institutes, which offers various foundation, diploma, undergraduate and postgraduate programs. The university follows the principle of ‘One Institute, One Specialization’. 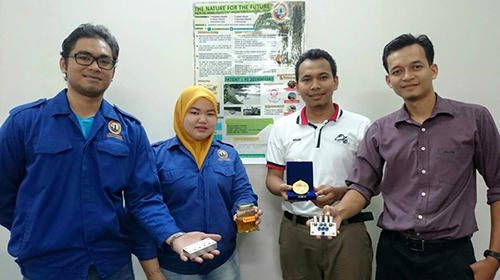 The UniKL Malaysia contributes to research and development for commercialization purposes apart from academic education. 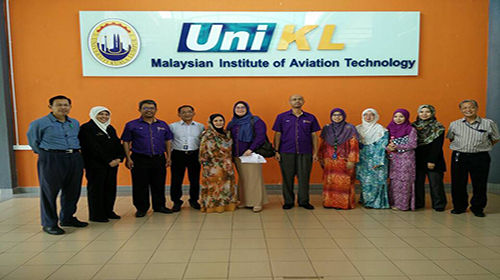 UniKL is located all over Malaysia, and offers various programs in their areas of specialization. UniKL Malaysia houses a total of over 29000 students and has produced over 37000 graduates so far. Our graduates have successfully settled in their life and are highly successful.